How much does it cost to travel to Mali? How much money will you need in Mali? CFA16,010 ($28) is the average daily price for traveling in Mali. The average price of food for one day is CFA4,409 ($7.61). The average price of a hotel for a couple is CFA14,645 ($25). Additional pricing is in the table below. These average travel prices have been collected from other travelers to help you plan your own travel budget. How much money do I need for Mali? Mali is a large and diverse country in West Africa. It's a landlocked country that is bordered by Senegal, Burkina Faso, Algeria, Niger, Cote d'Ivoire, Guinea, and Mauritania. It's a very diverse country that is rich in sights and culture. In the eastern part of the country is the Sahara Desert and the Niger River. There's a traditional nomadic culture that still thrives and prospers in these areas. You'll also find the fabled city of Timbuktu, which attracts many tourists due to its far flung location. Less visited, but possibly more interesting is the city of Gao, which sits on the edge of the Niger River. It's in close proximity to beautiful sand dunes, and is a uniquely fascinating place to visit. In the western parts of the country you'll find a strong Muslim population, mud mosques, and a rich culture. There are a variety of towns with outstanding weekly markets where you can interact with the locals and enjoy the atmosphere of daily life in Africa. 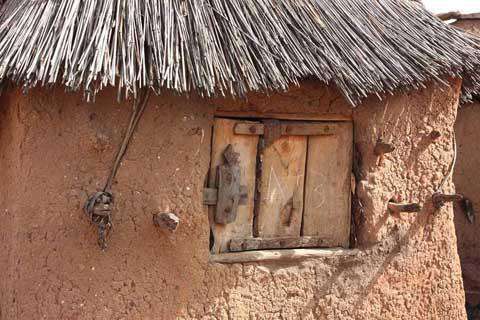 You can trek through the beautiful Dogon Country and see village life that has remained unchanged for centuries. Mali offers a unique view into Africa. What it lacks in wildlife it more than makes up for in culture. Allow plenty of time for mishaps and unscheduled stops, but take them with ease, as they're all part of the adventure. While Mali is one of the poorest countries on earth, it is surprisingly more expensive to visit than you might expect. The currency is locked to the euro and many prices seem artificially elevated. There are very few hotels in most places and those that exist are high in price for a low quality room. Food can range in price, but often times meals are small in size. This is particularly true with meat dishes and it is often recommended that you order vegetarian options as they are more filling for a fraction of the cost. Transportation is also surprisingly expensive. Coach style buses are usually your best option and prices are fixed and rarely negotiable. In many cases it is beneficial to purchase tickets in advance to ensure you have a seat on the bus. Although transportation is smoother and more comfortable than in Senegal, it is still very slow moving. Expect delays, poor road conditions, and overcrowded buses. Still, public transportation is an easy way to get around most of Mali as buses connect most cities and towns. Many people fly in to Mopti and do a tour of Dogon Country before leaving. There is so much more to Mali beyond this popular area. Give yourself several weeks and you'll be able to see so much more, from the Sahara Desert to village life along the Niger. This is a fascinating and culturally rich country. If you're in a town that is not a popular tourist destination you're likely to have a difficult time finding a good restaurant. Most Malians do not eat out so restaurants can be few and far between. Instead, stock up on fresh fruit and produce. Buy some bread and do your best to create a makeshift vegetarian meal. This may be your best option. Bring a knife with you. You'll likely need it to cut up fruit or open cans. Having a makeshift tool with you can really be beneficial and convenient. A small and simple pocket knife is usually the best option. Internet is available in most tourist destinations. There is usually at least one internet cafe and many hotels have wireless internet available. If you link in to the wireless internet you'll likely have to pay a daily fee of a few dollars, but for some people the convenience is worth the added cost. Dogon Country: This is one of the top travel destinations in Mali. Many visitors choose to spend several days trekking through this beautiful and unique part of Africa. The area is known for its traditional Dogon Villages which continue to function the way they have for centuries. There are weekly markets in many towns which can be a fascinating time to visit. Djenne's Mud Mosque: This is the largest mud mosque in the world and it's best visited on a Friday when you can see services in full swing. Djenne also plays host to a weekly market when villagers from around the countryside flock to the city to buy and sell their goods. Timbuktu: Perhaps one of the most famed destinations in Mali, Timbuktu has long been romanticized by many travelers. Many choose to make the long trek to this legendary town that sits far out in the Sahara Desert. Food throughout West Africa tends to be comparable in style. Malian food is heavy on the starches and carbohydrates, and light on the meats. You'll find the greatest diversity of restaurants in Bamako where you can enjoy anything from Chinese to Lebanese, all for substantially higher prices. Snack options are usually bread type products that are often deep fried. Fruit is available when it is in season and you'll find the greatest fruit selection in Mopti, as it sits on the Niger River at a transportation hub. Jollof Rice: This is a common West African rice dish that combines tomatoes, onions, and vegetables into a stew like meal. It's a hearty meal and is available in most restaurants. Maafe: This is a popular stew like dish made with a meat such as lamb or chicken and a peanut based sauce. The peanut sauce is often seasoned with spices and cooked for long periods of time. This dish is available in most restaurants and is a favorite for many travelers who visit Mali. Couscous: West African couscous is actually a finer version of this Middle Eastern classic. It is more sandy in nature and is often served with vegetables or a meat sauce on top. It's a common option when you're trekking through the Dogon Country area. Some people consider it a little gritty, but it is always available and generally reliable. Despite the rumors, Mali has many ATMs spread throughout the country. Most of them take Visa or Mastercard. Some people have had problems with their cards being canceled because they did not inform their bank that they would be traveling in Africa. We spent a month in Mali in March, 2009, and found ATMs in the following cities: Bamako, Kayes, Segou, Mopti, Sevare, and Gao. At that time we did not find any in Djenne, but there is a bank with a Western Union. Power outages are frequent, and this can disrupt ATMs, so get a lot out of it when you find one working.